Atlassian Foundation and Impact Hub jointly organise the workshop on the Future of Education and TVET (Technical Vocational Educational Training) offering knowledge and skills for employment to the participants. The event will also teach them to practice creative thinking and solve critical problems. 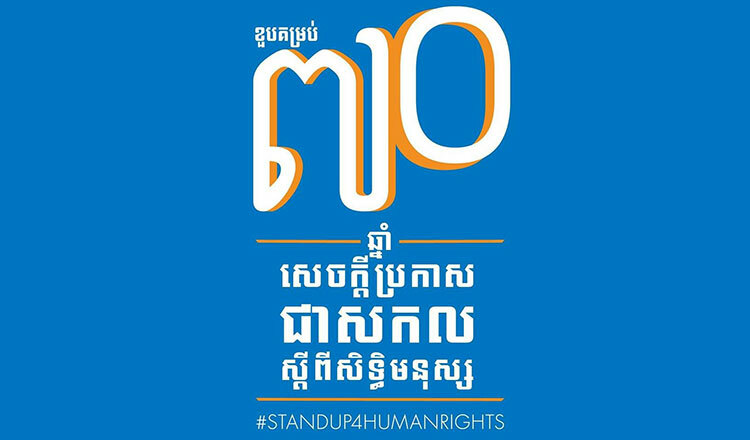 The 70th Anniversary of the Universal Declaration of Human Rights will be celebrated on December 8 at the Olympic Stadium, which will bring participants to meet with many Human Rights Champions through music videos and different talented Cambodian artists. Attendees will also get a free Human Rights Champion t-shirt at the event.